Owner Jen Byard’s believes in urban re-use. 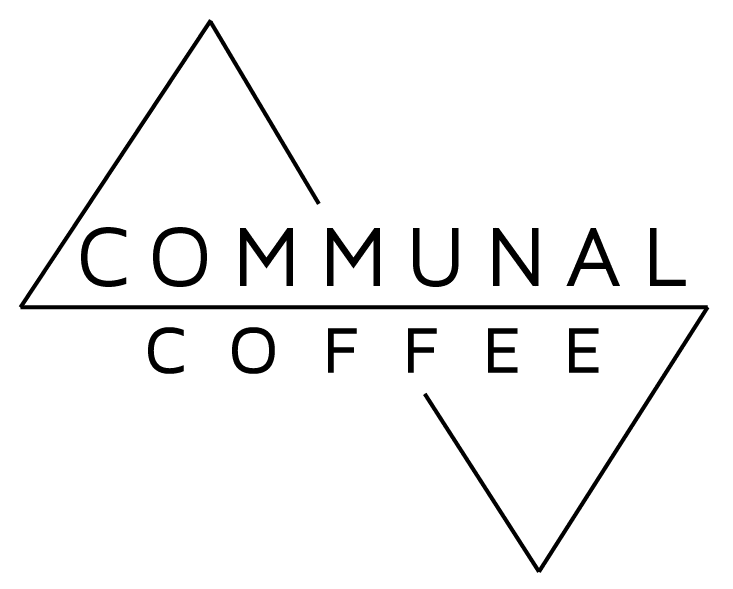 She has taken two locations (empty lot and a former lighting store) and given her favorite communities meeting places for coffee lovers of every artistic bent. 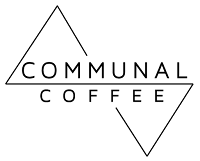 Communal Coffee’s website points out its two mid-city San Diego locations started with the desire to provide excellent craft coffee in a well-designed, welcoming environment that fosters community. Owner Jen Byard used her background in the art and non-profit worlds to pull these three concepts together in their first location in North Park (Texas & University). Jen & John have lived in the community since 2008 with their three sons, Lincoln, Ben & Harrison. Communal Coffee serves Sightglass Coffee from an independent coffee company based in San Francisco. Sightglass uses small production methods and direct trade practices to attain a perfect roast. CC collaborates in-house with Native Poppy adds to the community-minded, inclusive atmosphere. Guests can sit across from and watch the creative process behind craft coffee or floral design. Recently, Westways , the regional auto club magazine (Summer 2018) devoted its Bon Appetit page to Communal Coffee’s new South Park site, a refurbished 1959 Shasta Caravan trailer. The camper is located on Fern Street, a block south of the shuttered and beloved Rebecca’s Coffee house. 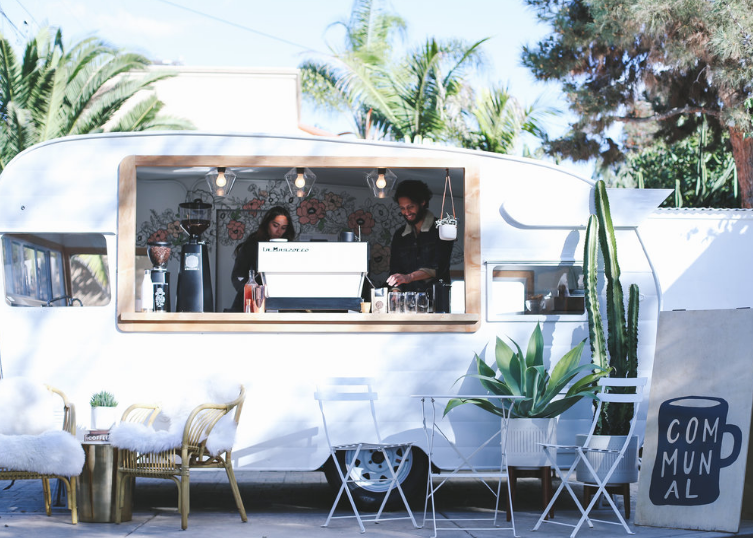 Recently, Westways , the regional auto club magazine (Summer 2018) devoted its Bon Appetit page to Communal Coffee’s new South Park site, a refurbished 1959 Shasta Caravan trailer. While most of the streets between North and South Park run east to west and are named for trees in alphabetical order, Fern Street is an asphalt anomaly because it runs north to south joining two of San Diego’s most diverse, hip and artistically creative neighborhoods. CC collaborates in-house with Native Poppy adds to the community-minded, inclusive atmosphere. 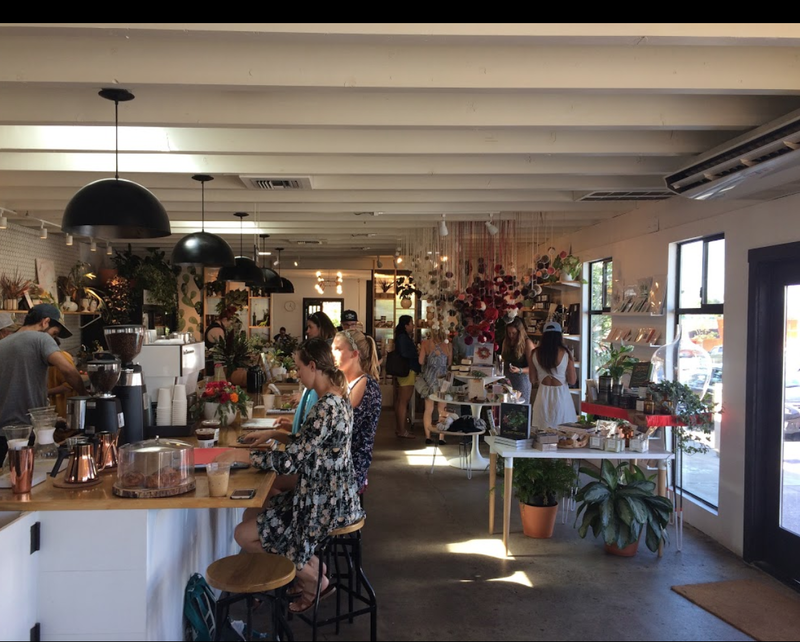 Guests can sit across from and watch the creative process behind craft coffee or floral design (North Park location pictured). 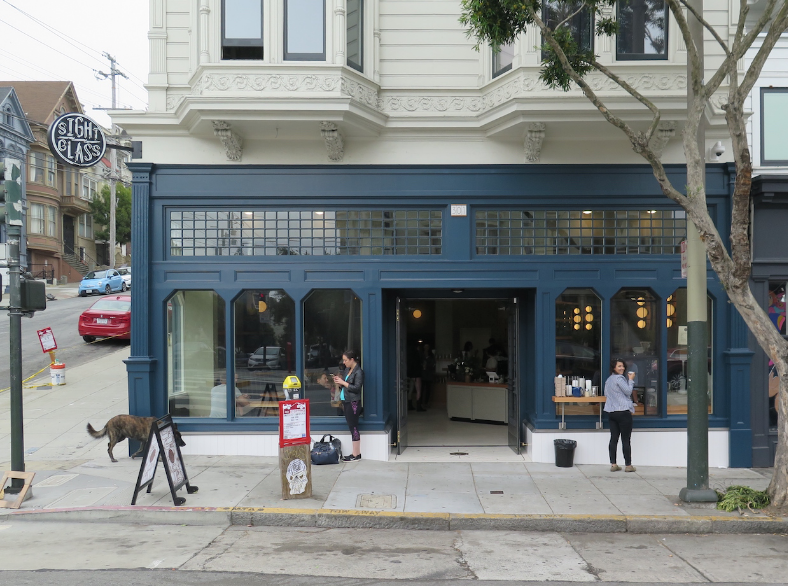 Communal Coffee serves Sightglass Coffee from an independent coffee company based in San Francisco (Divisadero Street location pictured).